Natália joined INL in September 2018 as a Research Fellow, and she is working on the functionalization of nanomaterials to mitigate the impact of the biofouling in membrane-based water treatment technology. Natália has graduation in Biochemistry and an MSc degree in Chemical Analysis and Characterisation Techniques from the University of Minho. 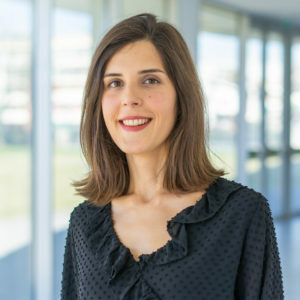 Natália did her PhD in the field of nanomedicine, working on the preparation and characterisation of drug delivery systems based on zeolite structures to be used in breast and colorectal cancer treatment at the University of Minho and Institut de Science et d’Ingénierie Supramoléculaires – University of Strasbourg. J. Mater. Chem. B, 2018, 6, 469 – 476. Colloids Surf. B, 2013, 112, 237-244. J. Mater. Sci., 2011, 46, 7511-1516.